Laguna Blanca is a salt lake in a endorheic basin, in the Sur Lípez Province (Bolivia). 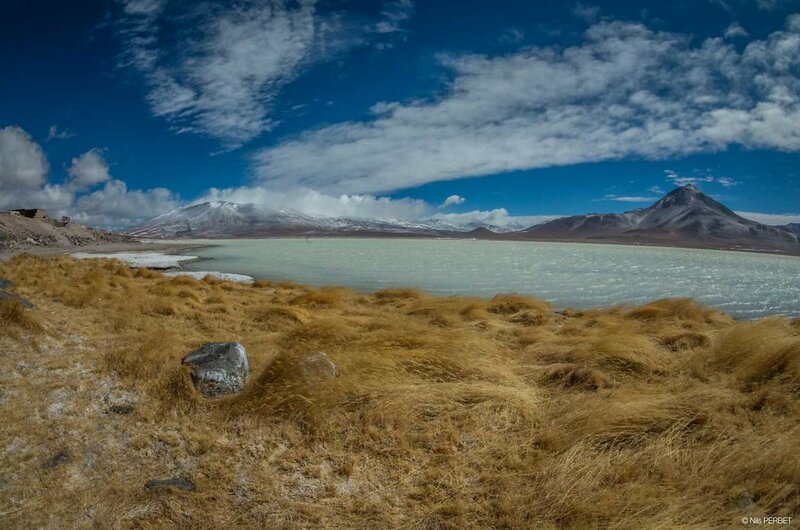 The lake is near the Lincancabur volcano, at an elevation of 4,350 meters (14,270 ft) on the Altiplano. The characteristic white colour of the water, that gave the lake its name, is caused by the high amount of minerals suspended in it.